As competition for talent intensifies, take advantage of social technologies to reinvent the recruiting process. Whether your strategy focuses on active or passive candidates, on internal referrals or a global search for talent, forward-thinking organizations must use social tools to foster more meaningful connections, deeper engagement and increased value from your recruiting investments. 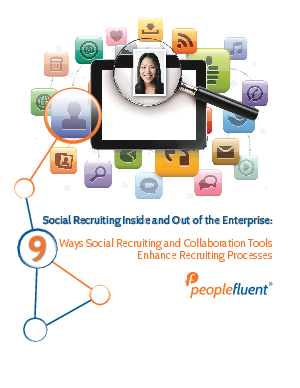 This whitepaper outlines how social recruiting and collaboration tools enhance, improve and redefine recruiting processes – inside and out of the enterprise – and provides best practices for developing a social recruiting strategy.